We are renovating our entire home so need ideas of furniture for the future space. So, I don't have existing photos of the space -- just the builder floor plans. We live in a lake community and have a pool in the backyard so are planning a coastal type vibe. The flooring is going to be Mill City Riverfront at this link: https://www.uniquewoodfloor.com/flooring/engineered-hardwood-flooring-mn. We are putting in black frame windows. Ceiling height is only 8 ' 1". The great room space will be open to the dining room and kitchen (as shown on plan). The back wall to the pool will be two 8' slider doors. Fireplace wall will have a 60" linear fireplace with a TV over it. Fireplace will be flanked by two sets of three small windows. Envisioning a charcoal sectional, leather recliners but open to other ideas. It's being gutted with walls removed so the only thing I will dislike in the new plan is the ceiling height which I won't be able to change. None -- giving it all away and starting fresh. Will only have can lights so need lamps/accent lights. "new home interior" file shows fireplace wall -- shiplap will be a pickled/whitewash. Linear gas fireplace will have a thick metal surround. Wall color will be a warm white/light gray -- hasn't been chosen yet. Windows that flank the fireplace and slider doors to back yard will be black metal. Sorry I don't have any current photos -- we have moved out and are in a rental. I like clean modern lines, warmth, comfy furniture, plants (olive tree types), punches of color, antiques here and there. I like bold, dramatic or unexpected touches. Love interesting details. Changes have been made! Please let me know what design you decide to move forward withs so I can edit the shopping list and floor plan accordingly. Thanks! If I am not mistaken, I believe you have to approve the renderings/ design on your end so that I can move on and add your floor plan guide and more. Thanks! Awesome! I agree it's my favorite layout and it's a nice harmonious mix! I've uploaded new additional views that shows the new layout change of the sectional and two leather chairs. That works better! Can you change the fireplace to linear on the other layout as well? That should do it then. Thank you! Please take some time to review the renderings. I'd love to hear your feedback as to which design you'd love to move forward with. 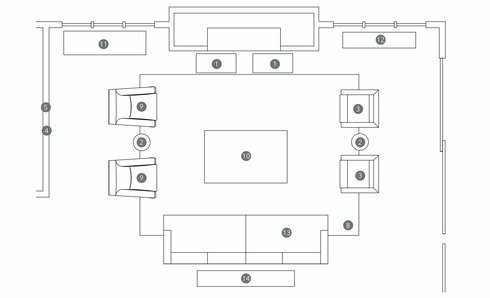 The 2 sectional option is missing a walkway in the middle?? If there is bot room I think we will need to remove the other and add the 2 leather chairs that are in the other version. Also, is there a way to move the 3D version around or are they just static pictures? There's not enough room in the middle. Unfortunately the 3D Versions are just images and not interactive. Please confirm if you'd like to see if the sectional with the two leather and let me know if there's any additional changes to be made before I proceed with making the changes in the 3D version. Thanks! Confieming... yes, we will have to go with one sectional on left with walking space behind if possible) and the two leather chairs on right side. If you can also change the fireplace to liner and add grids to small windows that should do it. Thanks!! Will update the 3D image. Should have also mentioned the fireplace is 60" inear and the windows have cross grids. Thanks!! Looks great. Exciting to see! I've made the changes to Layout 1. Kindly see attached, please let me know your thoughts. Just checking to see if you saw my last comment and have started to somewhat finalize some items so we can get going on the 3d renderings. Oh...one more thing...if there's a way to keep in those cute gray wicker-ish ottomans I really do love those! Sorry for the delay. Let's go with the striped recliners. On that layout, can you swap out the rug for something more like a braided wool/sisal beige? It just can't be scratchy or uncomfortable on bare feet. How long is that couch? Want it to be a bit longer than the typical couch. For the 2 sectional layout I would like to lighten up the coffee tables. Do you have something coastal inspired there? On the design with the four chairs, I'm not sure I'd go leather on all of them. Maybe keep the funky leather ones and swap out the recliners for a fabric option? You've been fabulous working through all of these ideas with me. I love the looks!! 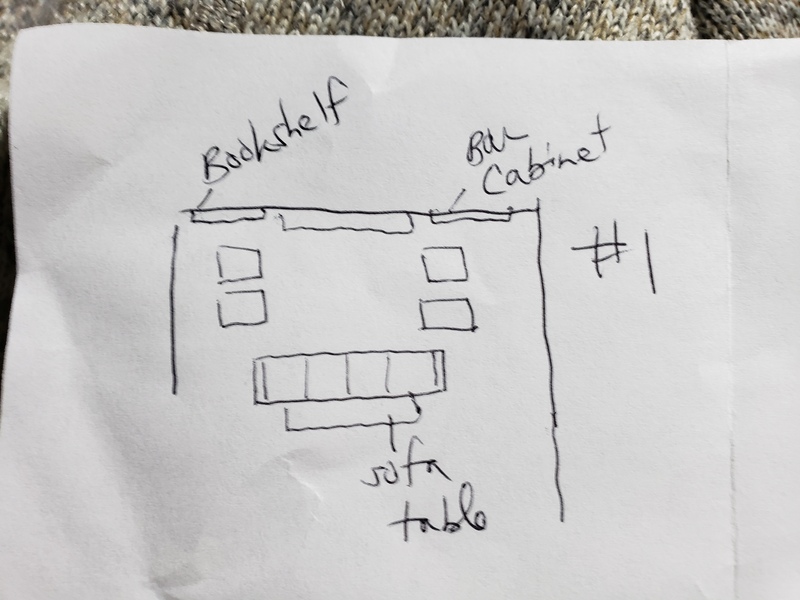 I was working on your shopping list and double checking to make sure all the dimensions are accurate, unfortunately the sectionals from room and board does not fit (too large) with your two sectional layout idea. I can source a new sectional that works with the two sectional idea. Please let me know. Thanks! A new sectional is fine. Could we do this smaller one and still fit a chair on either side? Or is that too tight? If so, I'd probably look for a sectional that is sized somewhere between this one and the last one. Are you suggesting to change the two sectional layout to just one sectional and a chair if it fits? I'm saying either keep the 2 sectionals and just find smaller ones. If that still doesn't work we could try 2 couches with the chaise and a chair on either side (1 couch with chaise and 1 chair on either side). Back again : ) we could also go back to original idea of full, large sectional on left and two chairs on right. Whichever you think feels better in the space. I've found a sectional that fits in the space with the two sectional concept you proposed. I think it's the best use of the space and it provides extra seating. See attached. As always I'd love to hear your feedback! Once this layout has been approved on your end we can go ahead with the two renderings. Also, I know you requested a sisal or jute rug however due to this layout the rug will increase in size so it's been difficult finding a larger rug size that fits with the layout. The large the rug the more you get into custom rugs. That looks good. I'm not sure if the walls you have there now are actual size but if they are we may need to move it a bit closer to the fireplace since they will be sticking pretty far into the walkway. I'm guessing once you get into the rendering you'll be able to tell? What size is the rug in there now? Great! 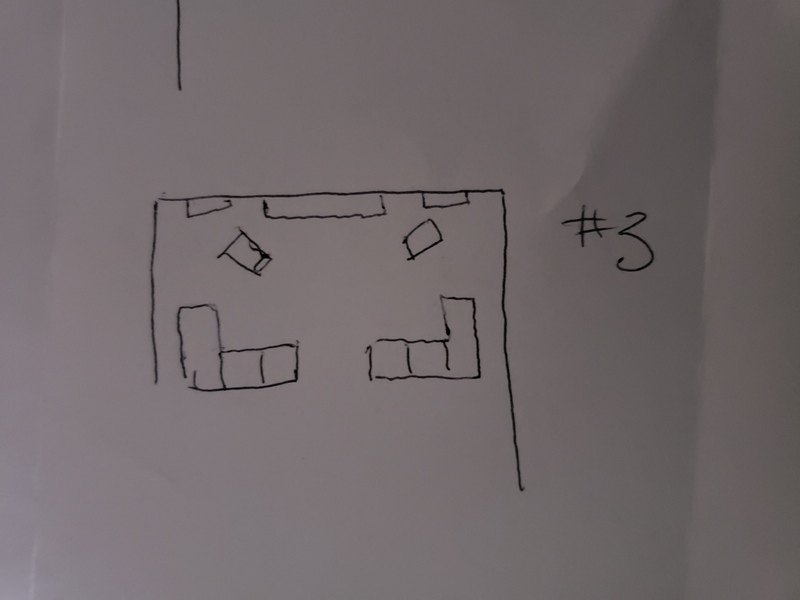 I followed the dimensions on the floor plan layout so if that's the most updated version then it should be pretty accurate. I am more than happy to work with you until we've finalized a design that fits your vision! I've made the updates to the concept boards and I like the sofa and bar cabinet you've selected so I've included them. One thing I must mention is that it might be a little difficult find a larger area rug that fits the space- the large you go the options are more limited unless it's custom. So what we can do is center the area rug in the middle of the sectionals if that works for you! I'd like 2 of the chairs to be recliners. I don't think either of these are? If not, I'd keep the leather ones you have from West Elm and change out the fabric ones for fabric recliners. I'm not sure about navy though? Seems too similar to the gray. Maybe something with a pattern? A lighter coastal vibe with stripes? Not a fan of the #8 table. Looks like a spool of thread to me. May just need a bigger space in between the two sectionals so we can walk through there. Hard to tell how many feet that translates to -- but I would assume 4 feet?? 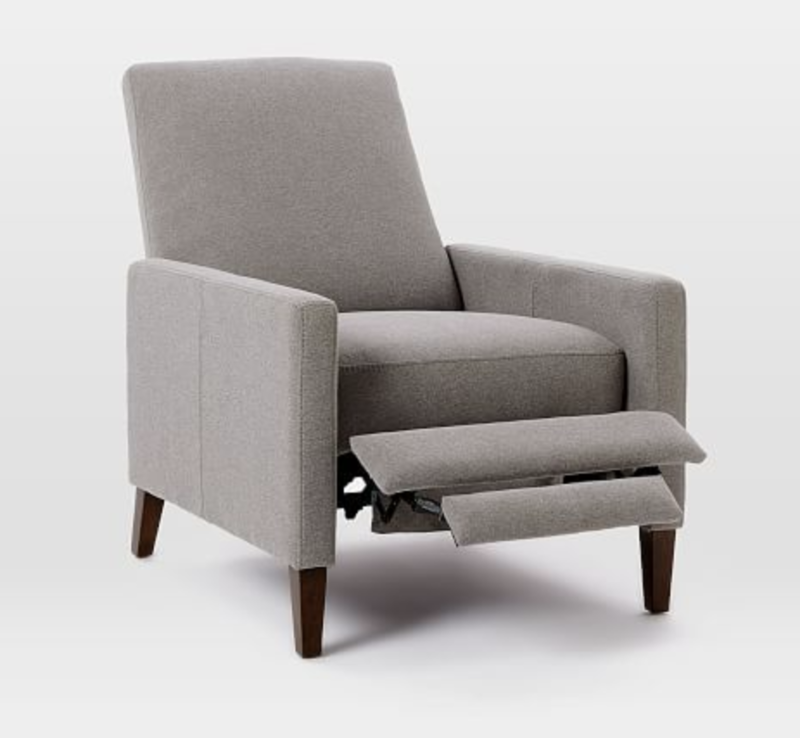 I'm having a hard time finding a recliner that has a pattern without it being too traditional. 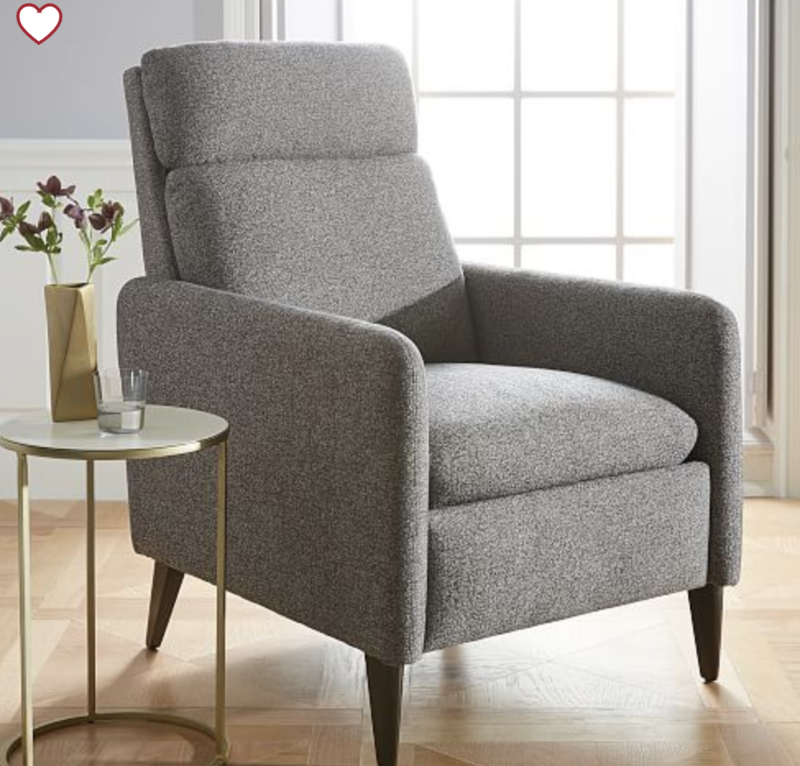 I've attached a few more fabric recliner options- two are from West Elm so you have quite a few options for a fabric color. Once we finalize things then we can move onto the rendering. With the rendering there's only one revision after the 1st rendering so it's best to finalize things during this concept process. Thanks for your patience. In terms of table #8 I think it's best to reuse the same side table just to keep things a little consistent. Please see attachments for new layouts! Please let me know your thoughts- I'll start updating the shopping list! Thank you. 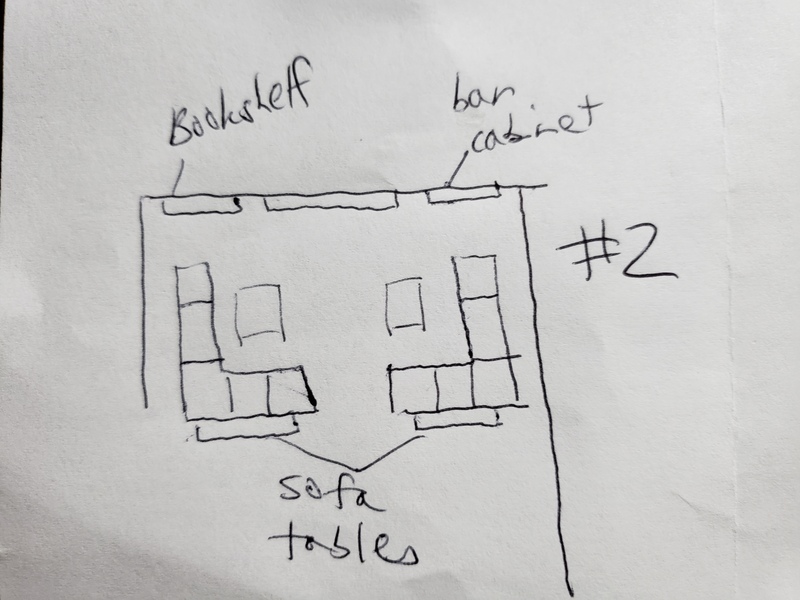 I like the new furniture selections but my direction on the furniture layouts was lacking -- so I've drawn really lame layouts and attached them here. Don't need the two chairs facing the patio doors -- those seem to just be out of place (even though I thought it was a good idea!). So, with the layouts I've attached it's all just centered to the fireplace. As to the furniture, I like both rugs but probably the blue graphic one better. I like the bookshelf and coffee table too. Like the looks of both couch/sectional -- look modern and comfy! Thanks for your patience!! I am glad you like the new furniture selection! My apologies for not understanding your layout suggestions. I do prefer layout 2 the best as it has more of a cleaner feel to it and less furniture. With layout 1 you can actually play around with different sets of chairs which can be fun (I've seen some amazing designers pull it off). I did try layout 3 as I was playing around and it looked a bit awkward. Do you need me to re-configure the layout based on what you've uploaded? #3 definitely feels the most awkward to me as well but the chaises were tempting! I'm really torn between the two! I agree that playing with the chairs will add fun, dimension and interest. But #2 is probably going to be the most comfy and maybe the one that is little less expected? My only concern with that one is that it is so blocked off from the patio doors. If I could see each in eventually in 3D I would be willing to pay extra if that's an option? Not a problem, a payment link should be sent over shortly for the additional renderings. I'll re-upload the new layout with the mood boards and add everything to your shopping list and remove items from the previous one. I've worked on two layouts and two concepts. Once your feedback is given based on what furniture pieces you prefer, I can update the shopping list. Please let me know your thoughts. The layout with the two sectionals facing each other would be tight if you wanted to add the two chairs facing floor to ceiling windows. Thanks for your message! 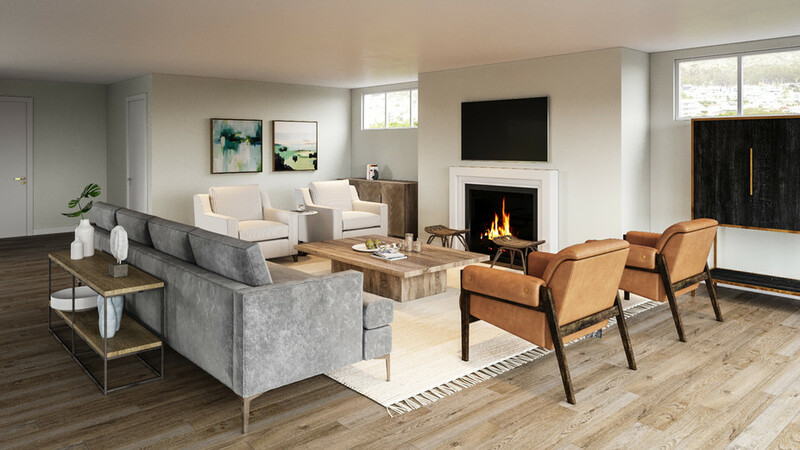 The furniture layout feels like it will be off-balanced with the fireplace so my thought was either one extra long couch centered in the room flanked by two sets of chairs on either side (if 2 would either fit?? )....or to have two facing sectionals. I've seen that and it's cozy, but then you obviously only have the one 'entry point' in the middle and it would block the patio doors more. But... it has more seating. I'm torn between the two and not sure which would be best?? Is it possible to see those two options? * The couch looks comfy which is important but looks 'heavy'. Is it possible to get a more modern look with still having that down-filled comfy feel? * I did not like the coffee table and candlesticks. * The lamps are just ok... anything that is less traditional looking? * I like the Sedgwick leather recliner but if I go charcoal for the couch then I couldn't do the Aspen color. Thanks for your feedback. I will work on those changes and give you more options! Hope you had a great holiday! Sorry for the delayed response as I was traveling for the holidays. My apologies as I might've confused your initial feedback on a few aspects in regards to the design. To try to answer your questions or concerns in order. You do not have to purchase everything on the shopping list- whatever items you prefer you can move forward with and purchase. I've added a few notes for some items in the shopping list if it's a replacement due to backorder or out of stock. Please be as specific as possible when you're not certain about an item as it helps me source something similar. I did upload a new rug but I try to keep the options as few as possible as it is easier to make more of a decisive decision. 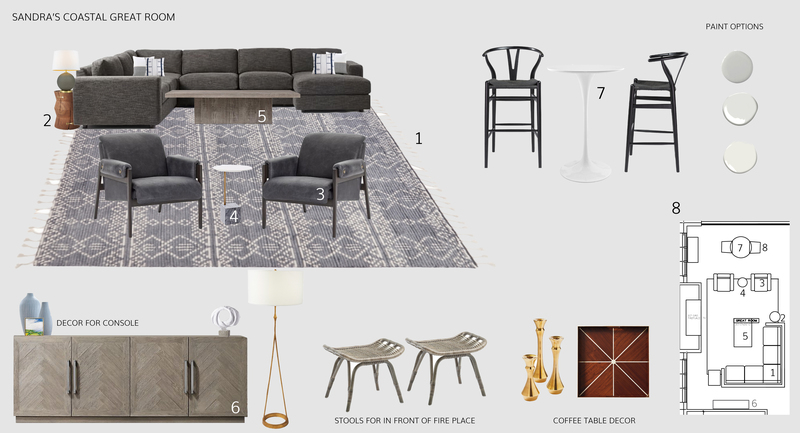 If there's a rug pattern or color you prefer let me know as it will make sourcing a lot easier and less time spent- I did add a different rug but similar option in the shopping list. Yes the furniture layout is changeable. I'm super confused. There was the initial layout plan but then you changed it? I prefer the first and don't want the shopping list based on your new layout. * I made multiple comments on that plan but not many of them seem to have been addressed or changed? * Are there options for furniture for the shopping list or do you literally just pick one and then it's a yes or a no on that specific choice? I wanted to let you know that I have started your shopping list. You should contact Decorilla to buy your items because the ordering team will make sure to apply the best discounts or send you coupons. Additionally, they make any returns and customers service a lot easier. You can just reach out to orders@decorilla.com before you buy (you can even email them the URLs you want to check) and they'll let you know what the best way to purchase each item is. Please let me know if you don't have all the measurements needed from the floor plan I provided. Thanks for choosing me as the designer on your project! As of now I seem to have everything but I will reach out if I need anything else! Do you need thoughts on your initial layout or does that happen at the next stage? Thank you! Your feedback would be great on the initial design to help me in moving forward. * I'm not sure I want the sofa table on the left wall just to maximize the living space. Also because I may want a sectional that has one more cushion facing the TV. * I have three kids and pets so won't be getting a light colored couch. I was thinking more of a charcoal shade. * I was considering bookshelf unit under the windows on the left. Will that be too busy? * Could still consider a sofa table behind the sectional on the side facing tv but just can't block walkway. The distance it is now I don't think it would work. Assuming pushing it closer to TV would make it all too 'squished'? * Furniture has to be super comfortable. Think down filled comfort. For the side chairs I think leather recliners might be best. I LOVE the chairs you picked though so would want to see those up close. *I'm debating on a console or something like a bar cabinet under the windows on the right. We have a wet bar in the kitchen so it's not really necessary, but I just really like the look of them and we always seem to have more stuff than what fits in the wet bar. *My husband wants to make sure we have enough space to add the smaller table and 2 chairs in front of the slider doors. What are your thoughts there? I think seeing it in the 3D will help us visualize and ultimately decide. *I have Houzz folders I could share if you're interested in style/furniture/etc. *Love the look of the console too so would still consider that in its current location vs. a bar chest. *Like the vibe of the white high top table and chairs, but the chairs are maybe a little too Caribbean with the bamboo. My apologies for the delayed response. I am working/sourcing new items for your project and taking your ideas into consideration. Thanks for the feedback, will soon upload revised moodboard based on your feedback and 3D renderings. What is the expected turnaround on the next revisions? Any additional questions from me? Thanks! Everything will be uploaded tonight in regards of the shopping list and a revised concept. The renderings should be about a day or two but by this weekend the latest. Does that time frame work for you? Here's two updates. Please let me know your thoughts and feedback as to what items you'd like to keep vs swap out. Once you've come to a finalized decision on the items, I'll release the shopping list but regardless it will be available to you tomorrow. As regards to the leather chairs- they recline and they come in a variety of colors ( cognac, navy, black, gray etc) I chose this color to lighten things up a bit since everything was leaning towards the darker side. Thank you for choosing Decorilla service to design your interior project. I am very happy to be one of the designers to work on creating the best concept for your living room. I will review your project brief and contact you if there are any questions. If you have any questions or concerns, I am here to help you! Thank you for choosing Decorilla for your design needs. I will be one of the three designers working on your room concept board. I will take some time to review your project brief and reach out if I have any questions. Please don't hesitate to contact me if you have questions, inspiration images or concerns. Thanks! Welcome to Decorilla and thank you for choosing us for interior design services. I'm designer to be working on your living room concept board. I will be reviewing designers brief and will be back if I have any more questions. Meanwhile, dont hesitate to ask me if you have any concerns. Sorry I do not have any photos of my current space since we are renovating. the great room is such a large space that I'm struggling with how to fill it. I definitely want a sectional. Likely two leather recliners on other side. Questioning whether to add something else behind that since the doors open to the pool. Or could have two facing sectionals... but think I need a walk-way from space to back yard which that wouldn't allow. Quantity: 2 Place in between two chairs Discount link available to project holder only 15.5"diam. x 22"h.
Framed Abstract Wall Canvas 33 X 33 - Project 62™ Hang art so that its midpoint is between 57 and 60 inches from the floor. In rooms with ceilings higher than eight feet, artwork can be hung a little higher than 60 inches Discount link available to project holder only 33"x 33"
33"x33" Abstract Brush Strokes Framed Wall Poster Print - Project 62™ Space about 8-12 inches apart. 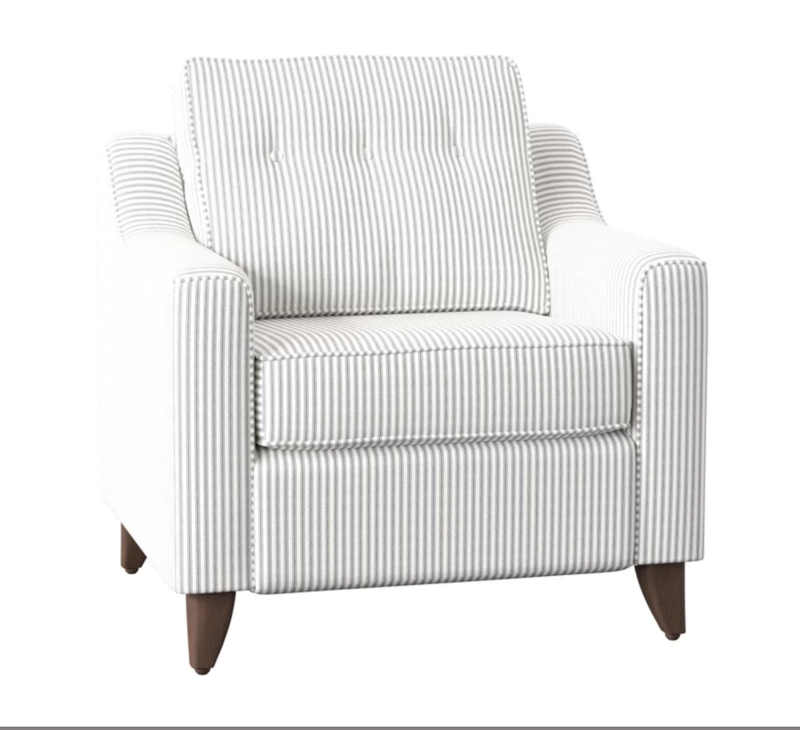 Discount link available to project holder only 33" x33"
Quantity: 2 Place on the recliner striped chairs. This will add some texture and color Discount link available to project holder only 18" x 18"
Quantity: 2 Add to the Cognac leather Chairs Discount link available to project holder only 20" x 20"
Oxford Black Bar Cabinet Discount link available to project holder only Width: 40"Depth: 23"Height: 66"
Papier Mache Sculpture on Stand Follow 3D Images as guide for placement. Discount link available to project holder only 14"w x 5"d x 12"h.
Pure White Ceramic Centerpiece Follow 3D Images as guide for placement. Discount link available to project holder only 19.5"diam. x 5.5"h.
Pure White Ceramic Vases-Jug Follow 3D Images as guide for placement. Discount link available to project holder only 6.9"diam x 14.8"h.
Pure White Ceramic Vases-Egg Follow 3D Images as guide for placement. Discount link available to project holder only 4.3"diam x 5.1"h.
Pure White Ceramic Vases-Bottle Add greenery or plants to vase Discount link available to project holder only 4.3"diam x 8.9"h.